You had to know this was coming. My number one album of the year goes to the recording that was nominated for 11 Grammys: Kendrick Lamar’s To Pimp A Butterfly. 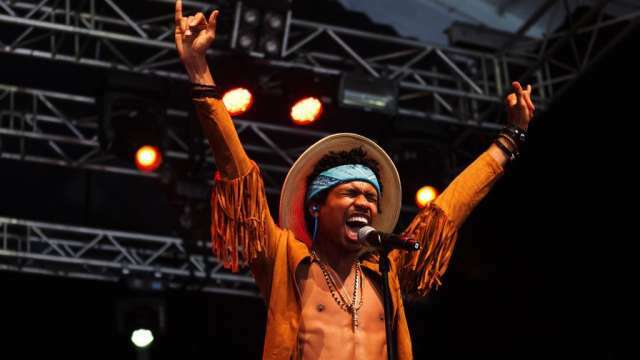 Today, Raury released his first single “Devil’s Whisper” after making the 2015 XXL Freshman List. The song is very catchy and the breakdown at the end is awesome. The song is available on iTunes tomorrow so go download soon. Enjoy “Devil’s Whisper” below. Yesterday, XXL finally pulled the curtains on their 2015 Freshman cover. Their cover includes the likes of Fetty Wap, K Camp, Shy Glizzy, Kidd Kidd, Vince Staples, Raury, Tink, OG Maco, Gold Link, and DeJ Loaf. I can’t wait to read the entire cover story in the coming weeks. Expect this to hit the news stands extremely soon. What do you guys think? Is there anyone that was left off? Let us know! Peep the cover above. Another Young Thug track leaks today in the form of “Love Me Forever”. This track will appear on DJ Dubble D and DJ Scooby ATL mixtape The Leak. Stream the track below and let us know what you think.